As business people and promoters of a real-estate project in Canada it is essential to have a good understanding of the possible clauses of a construction contract that you will find for your construction projects in Canada. Whether it is for the contract: with your contractors, suppliers, customers, employees, salespeople of land, financial institutions, professionals and others. 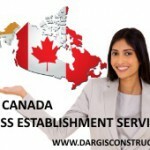 Construction Daniel Dargis Inc. and its Canadian expert advisors and real-estate law attorneys are familiar with the various contracts in construction and can help you find your way. To the construction contracts the following are connected: commitments, responsibilities, warranties, payment methods, insurance and other matters governed by the laws in Canada. Construction Daniel Dargis Inc. and one of its lawyer partners take the time to sit down with you to explain the contract. We are transparent and we even suggest to you lawyers and notaries of experience and specialized in real-estate in Canada in order to offer you an introductory training session to measure. Did you know that? It is in Quebec that we find the best protection system for construction contractors in the world in terms of guaranteed payment. The legal mortgage and reporting system in construction protects contractors so that they are paid. The question is how to apply and use it. Housing manufacturers associations offer their members a model construction contract that fits every situation and which contractors and customers can use without needing a lawyer. This construction contract is very affordable and it is used as a standard in the construction industry in Canada and was written by professionals in real-estate law. It is therefore important to know the terms that can be added to the contract, such as: delivery times and schedules, the type of materials, payment and warranty. We help you to have a good understanding of the laws and regulations and to choose or construct the contract that applies best to your project in Canada.